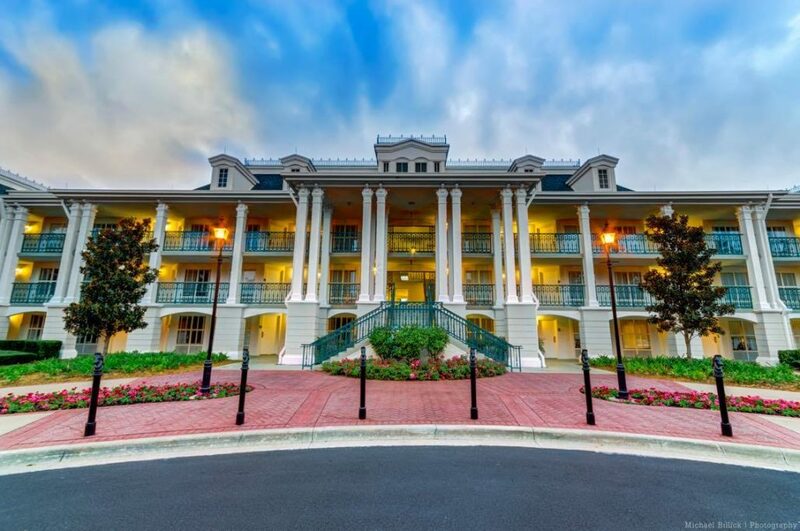 If you’re looking for a WDW resort that has lots of recreational amenities, Disney’s Port Orleans Riverside resort has rooms that sleep up to 5, an amazing pool complex, and a great location to explore other resorts and Disney Springs! Today we welcome guest reviewer Katie Prevot from Destinations to Travel with her latest review! Take it away, Katie! This month we celebrated the 25th birthday of one special moderate resort! Port Orleans Riverside is one of the most popular resorts on Disney property and a top choice of many. Port Orleans is classified as a Disney Springs resort area hotel, but also you are inside the gate of the Magic Kingdom. Not to mention right across the street from the entrance of the most expensive and amazing homes ever, Golden Oaks. If you are planning on seeing doing some horseback riding, the Ft. Wilderness campground is right down the road as well. 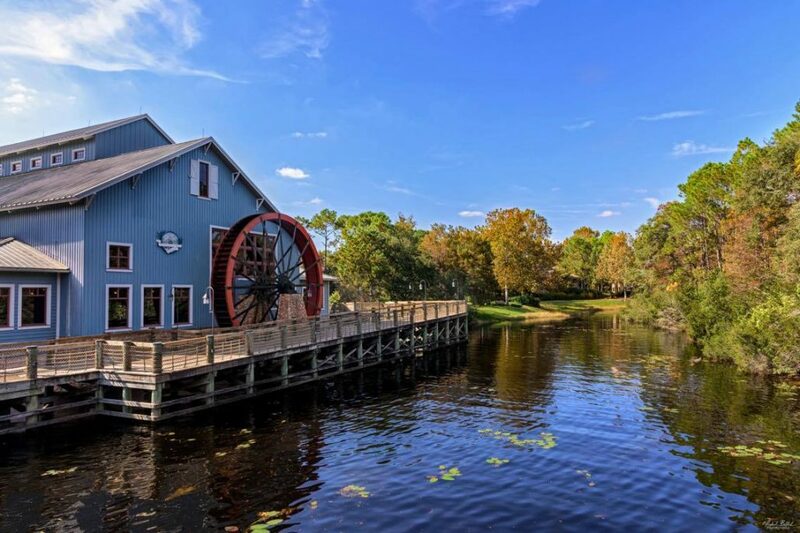 Port Orleans Riverside also has the Best Friends Pet Care center on the same street, and you can see its sister resort Port Orleans French Quarter across the river – and you can share the amenities offered there. The location of this resort is so easy to get to all parks within 10-15min. Animal Kingdom is the farthest away, and Magic Kingdom is just a quick two streets away. Disney’s Port Orleans Riverside Resort has an awesome location near other resorts and Disney Springs. Photo by Mike Billick. Unlike some other resorts, there are two completely different types of rooms in this resort. There are the Standard Rooms and the Royal Rooms. The standard rooms can be located in 2 completely different themed areas; Alligator Bayou & Magnolia Bend. all was that the bayou seemed too close… when walking to the rooms or to the bus stop, the walkways in this area are very close to the water and when it rains a lot that water gets closer. Magnolia Bend’s four buildings are across the bridge on property. The beautiful Royal Rooms are here in only two buildings: Oak and Parterre. These building are the farthest way from the pool and amenities and closer to the Port Orleans French Quarter crosswalk, but worth it if you want to really experience a room filled with princesses and magic. 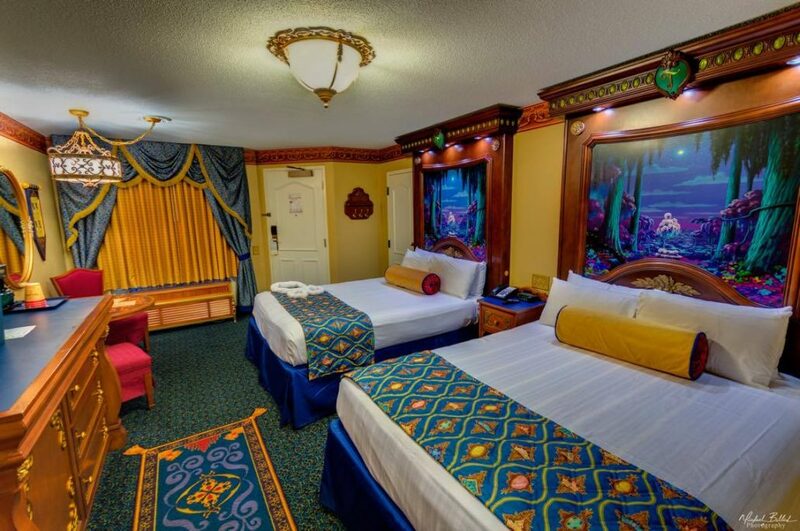 Disney’s Port Orleans Riverside Resort is the ONLY place at WDW where you can stay in a Royal Room. Photo by Mike Billick. Many mixed reviews are out there with the buses here and if/when they share with the other Port Orleans French Quarter. This was a huge concern for me however, while staying here 11 days there was only one time that the bus-coming back from EPCOT, stopped at the front entrance of the second resort late at night. There are four total bus depots throughout the Riverside Resort area. The preferred building will use the front, south depot, and this stop was always packed and had people waiting. I stayed in building 34 and was a step away from west depot. The west stop was the first to be picked up and the first to be dropped off. North was never really full, but the east from the Royal rooms, and the south were always full and had people at it every time. Even though the rooms were a longer walk from the front I would recommend that west depot every time. Getting to Disney Springs you can take the bus, or you can enjoy a nice 20min ride by boat, passing by French Quarter, the Tree House Villas and Saratoga Springs Resort. Disney’s Port Orleans Riverside Resort offers boat and bus transportation. Photo by Mike Billick. With Port Orleans Riverside being a moderate resort, there are more to do here than at a value resort. The Fulton’s General Store was full of goodies, apparel, a coloring spot for kids and anything that we wanted before hitting the parks. The main lobby was a site to behold with the high ceilings and classic fixtures. 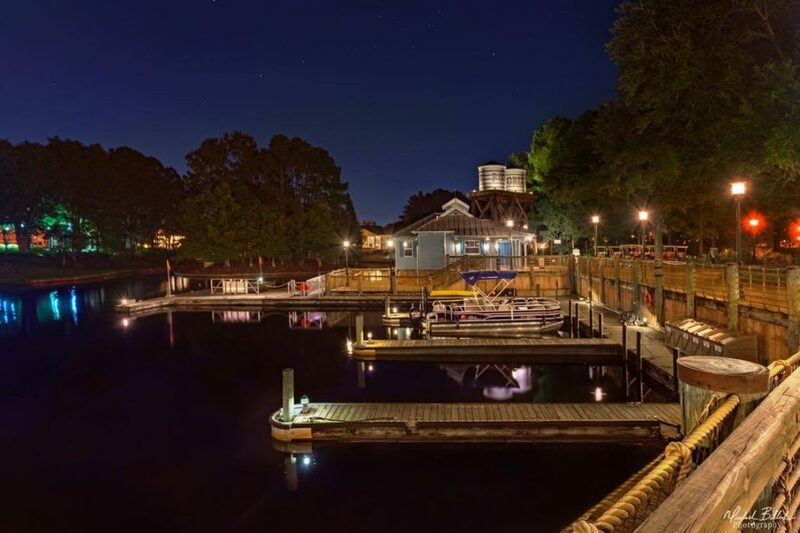 This resort has a sit down restaurant that takes advanced dining reservations, the Boatwright’s Dining Hall, aside from the main food court and two lounges to choose from. The main pool area had a hot tub, hammocks, kids activities, and a water slide to offer. The main pool was nice, but this resort offers an additional five quiet pools with laundry service and showers by them. Other amenities such as pole fishing rentals, kids playground area, camp fire area, bike rentals and carriage rides are all offered. Disney’s Port Orleans Riverside Resort has lots of amenities. Photo by Mike Billick. Riverside Mill food court is connected to the other restaurant within the main building. The food here is southern inspired. The seating area is split up with the wheel working and gears of the huge mill outside. I loved watching the wheels, poles and gears all move inside the restaurant while eating. The kids area in the back had smaller tables with colors and pages while showing Disney Junior on a tv. One thing I do not like about the food court here is that all the options are very limited and seemed to never change from day to day or even week to week. I even went over to French Quarter for a better selection one night and loved all they had to offer. While the theming is better at Riverside, the food needs to improve to have more options. The food court features a bakery with yummy sweets or frozen treats, a make your own pizza and pasta station, make your own salad and sandwiches, and a place to get things like chicken nuggets, and other items such as that. Disney’s Port Orleans Riverside Resort allows guests to choose between Magnolia Bend or Alligator Bayou accommodations. Photo by Mike Billick. Staying in this resort will make you feel like you are traveling from the deep south to Disney World everyday. While spending time at your resort it isn’t hard to forget that the Magic Kingdom is your neighbor. The transportation is easy, and rooms are delightful and there is plenty to do around for the day that the resort becomes an attraction all on its own. Riverside might be the one for you! 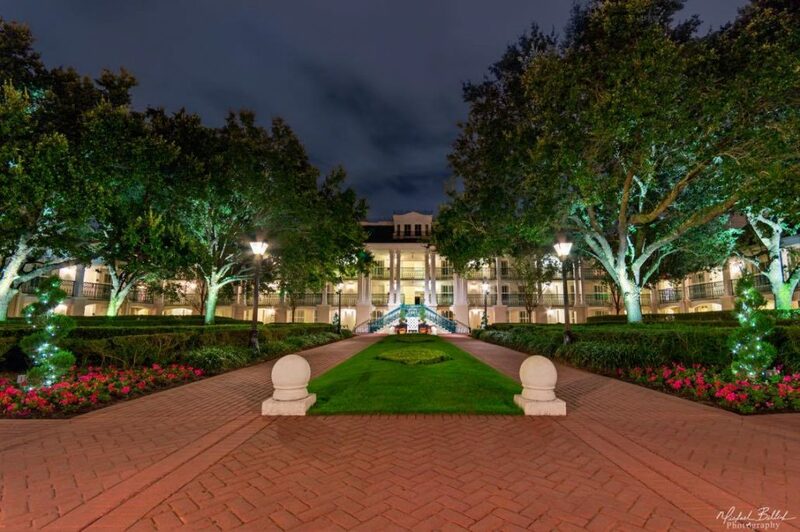 Next time you visit WDW, consider the Port Orleans Riverside resort for your stay! 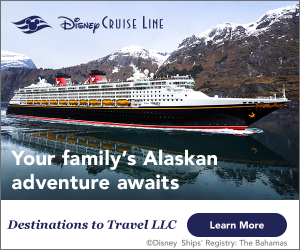 Click here to get a free quote from Destinations to Travel!